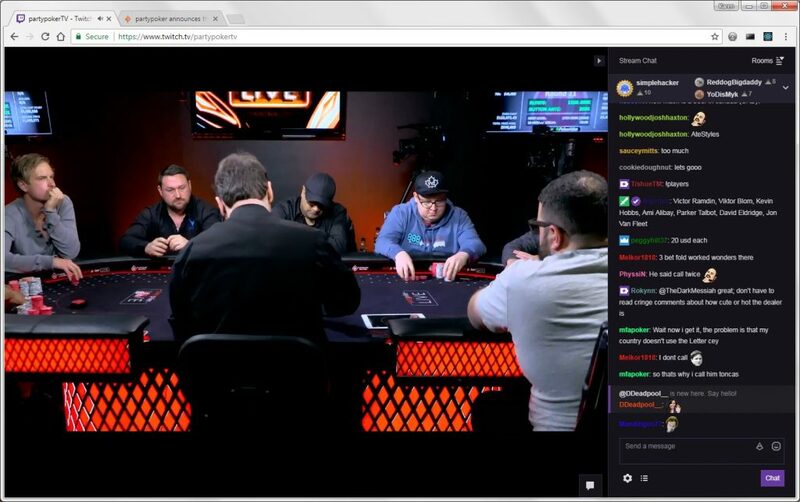 While prepping things here for the 2018 WSOP tournaments, I have been watching live streams of poker on twitch.tv. OMG… greatest thing evah…if you love poker like I do. Independent players and PokerStars-backed players stream their online play for hours upon hours, commenting on hands, plays, strategies as they go. I watched Jason Somerville, Kevin Martin, Jeff Gross, and the Staples brothers stream live at the Run It Up tournament in March. LIVE table action… although no hole cards and sometimes did not show players’ faces – but – showed their own hands when they could. While I am typing this, I am watching a final table of a tournament being played in Montreal. This final table is fast and furious. Everyone is going for the win. No cautious play. Victor Ramdin, Viktor (Isildur1) Blom, Kevin Hobbs, Ami Alibay, Parker Talbot, David Eldridge, Jon Van Fleet.